Given the events in Charlottesville, Virginia, I am going to post about the Nazis and the memorials to the Holocaust as a way to remember why we need to stand up to fascism and racism. 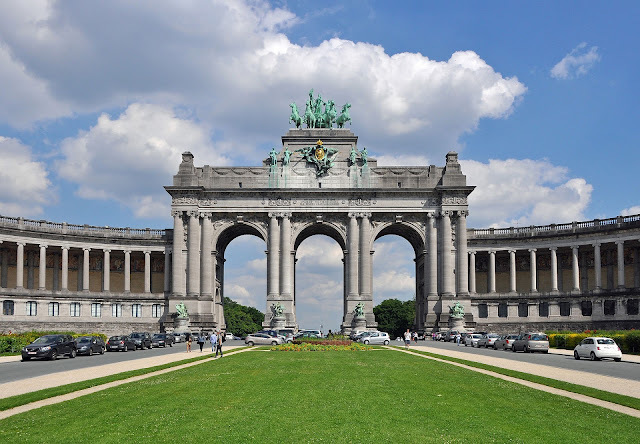 Throughout Europe, the same words appear over and over again on the memorials. Never again. That is why they are important. The Holocaust happened. Thankfully in Germany, it's a crime to deny it did. It's also a crime to display Nazi symbols, outside of places like museums. The Germans have been very frank in dealing with that portion of their history and it's refreshing. I have not visited all the concentration camp sites. 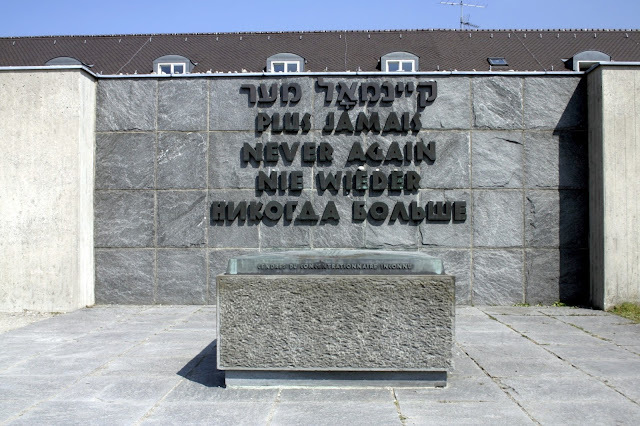 I have only visited Dachau, Terezin, and Auschwitz. All were horrible places, but also places that I feel everyone should visit. 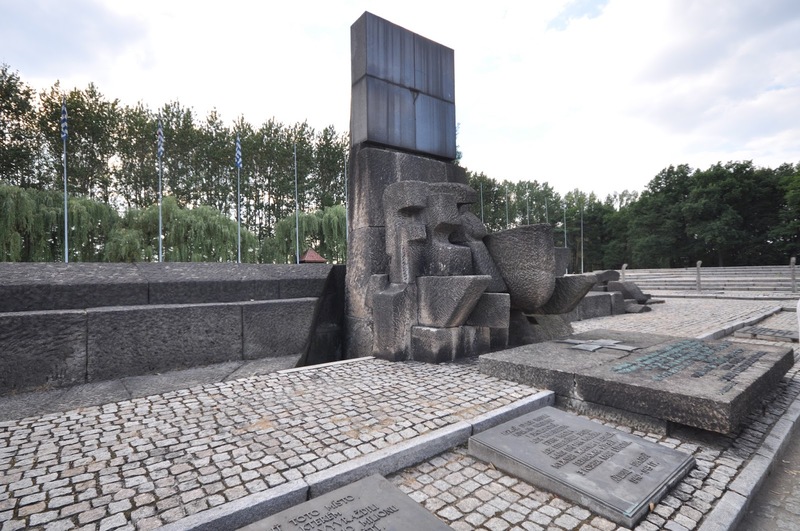 There are also number of Holocaust memorials that I will be talking about. Each is deeply moving. Just outside of Munich is the site of Dachau, the first concentration camp. Much of what became traits of all the concentration camps originated at Dachau. 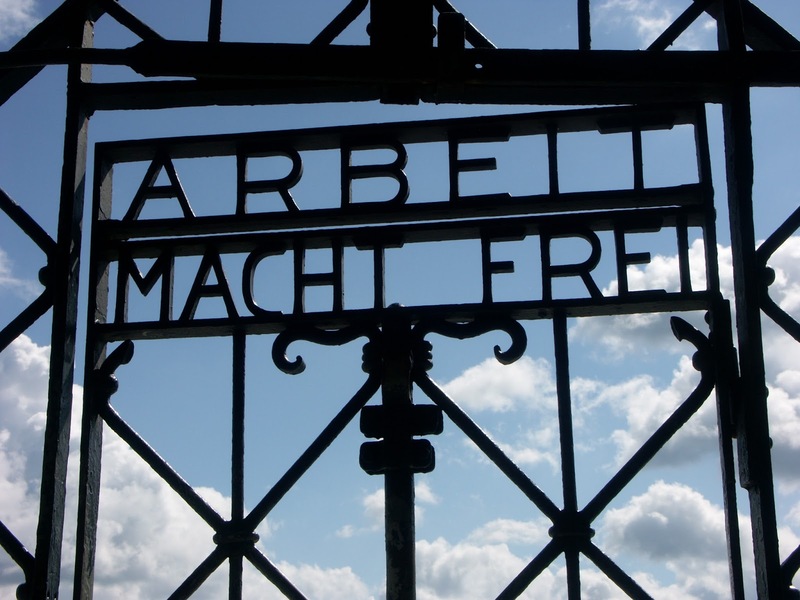 The inscription on the gate, Arbeit macht Frei, work makes you free was just one of the many things that spread to other camps. Dachau became the prototype. While Dachau was not an extermination camp (those came later as the Nazi Final Solution to the Jewish Question evolved from enslavement of the Jews to extermination of the Jews), over 30,000 people died according to camp records (and many more were not recorded). Political prisoners, Jews, homosexuals, Jehovah's Witnesses, anyone really that the Nazis didn't like. When they got to the camp, they were literally worked to death. One other prominent feature of Dachau were the medical experiments. Nazi scientists used prisoners as human guinea pigs to test various things. Generally these medical experiments were just various types of torture, like submerging someone in freezing water just to see how long they survived. They built a low pressure chamber to try to determine the highest altitude that an aircrew could safely parachute from an airplane. Dachau was just one of many camps where these experiments were conducted. When the U. S. Army liberated the camp at the end of the war, of the 30,000 prisoners, 10,000 were seriously ill. Many died soon after liberation. In visiting the site, it is an easy trip from Munich. Public transit does reach that far, but make sure you have the right ticket, because it is not in the same zone as downtown. When you reach the site, the main camp administration building still stands. This is where they conducted the medical experiments. The barracks were removed after the war because of typhus infection, but there are a few rebuilt examples to walk through. The camp crematorium is still standing, as well as the unused gas chamber. This site is in the Czech Republic and is really two sites adjacent to each other. 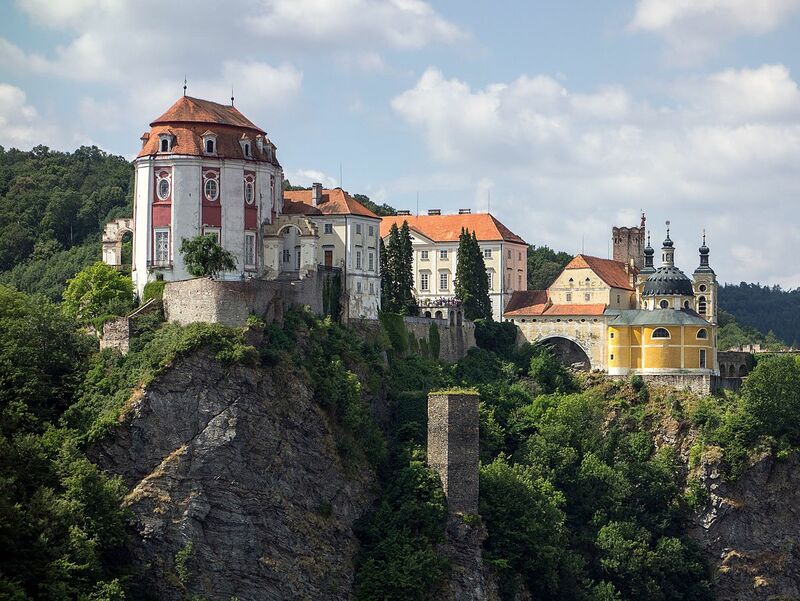 Originally founded as a fortress for the Austrian Army to protect the approaches to Prague from Saxony and Prussia, the Nazis turned it into a concentration camp. 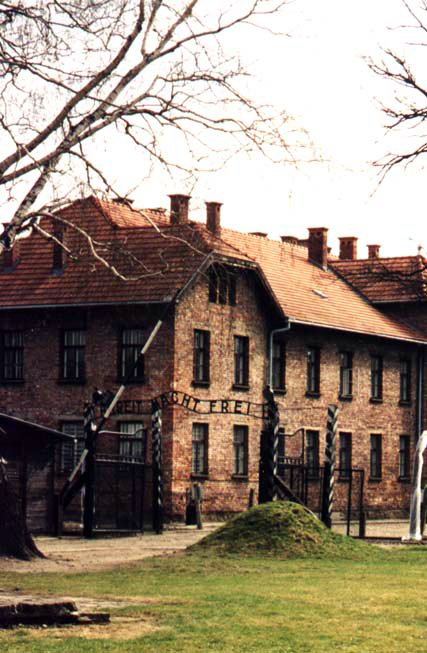 First is the Terezin ghetto. This was sort of a transshipment point the Nazis used to gather Jews for later shipment to the extermination camps, especially Auschwitz where they would then be murdered. Many still died in the ghetto, as many as 30,000 people died here. The Nazis used Terezin for propaganda purposes, trying to portray it as a model Jewish town. The small fortress was made into a prison camp. This also served as a forwarding point to other concentration camps. Prisoners in the small fortress were treated generally harsher than those in the ghetto. Since it was more a site to gather prisoners for shipment to the death camps, they didn't do as much of the brutality here. Of course there was still brutality, but the truly awful things were saved for other camps. I have not visited this site, but I feel like I should comment on it because a dear friend of mine's father was one of the soldiers who liberated the camp. He could never talk about it after. The horrors he witness first hand, I cannot even imagine. The site is right near the location of the bunker where Hitler spent his last days, another reminder of what was done. It's hard to describe what it's like to visit Auschwitz. 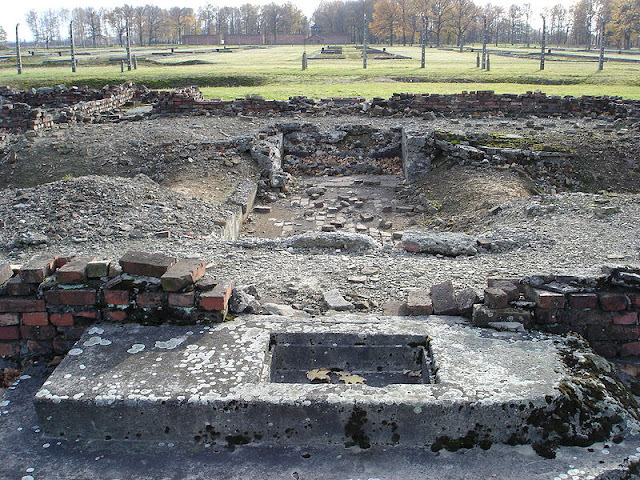 The original camp, Auschwitz I, was originally a Polish military post. The barracks were adapted into a prison. The iconic entrance gate has the same inscription that started at Dachau, Arbeit macht Frei. The original was stolen a few years ago, but was later recovered. Walking through that gate is surreal. As you view the various buildings, you see what the Nazis did to the Jews who arrived at the camp. Their possessions were stolen, the Nazis even had a place where all the luggage was sorted and any valuables taken. Some of the original luggage is on display. Heads were shaved, because it was woven into the linings of winter coats for the German army. There are displays of actual hair from the camp. Then there is the prison inside the prison. Torture chambers where prisoners were placed to die in horrible ways, like an air-tight cell where people were suffocated or a standing room only cell where 4 prisoners were jammed in and kept awake until they died. The first experiments with poison gas were conducted in a small gas chamber on the site that is still standing. Absolute silence is demanded when you visit the chamber to honor those murdered there. Right in front of this gas chamber is the gallows where Rudolph Hoess, the commandant of the camp, was hanged after the war. The worst building was where Dr. Josef Mengele did his experiments. Mengele was obsessed with identical twins and would do experiments to try to change genetic traits, trying to create the master race. I have identical twin boys and I just had to leave, I could not handle that building. Mengele was the face of evil. 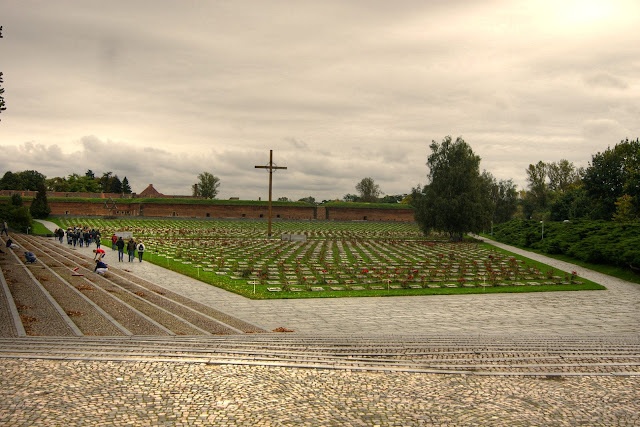 A little down the road is the larger camp Auschwitz II-Birkenau. This was the extermination camp. Train tracks lead to the long platforms were Jews would arrive and then be sorted, usally by Mengele. Those deemed fit to work were herded into the camp barracks and assigned to work, usually to death, in industries that helped the German war effort. Those deemed unfit were herded to the twin gas chambers at the end of the platforms are immediately gassed, then burned in the attached crematorium. As many as 20,000 people per day were killed here at the height of the slaughter. At the end of the war as the Soviet army approached, the Nazis attempted to hide their crimes. The dynamited the two main crematoria. This is all that is left. The soil in the area tested positive for human remains. Between the two destroyed crematoria, is the international monument to the victims, inscribed in numerous languages about how many died there. My last thoughts are to from Elie Weisel, who was imprisoned at Auschwitz and wrote about it in his novel Night. The Czech Republic as a whole is pretty cool. As much as I like Prague, it's also a great place to use as a base for day trips. There are some really great places to visit on day trips or even overnights. This is an old mining town, at one point home to some of the richest silver mines in Europe. The cathedral is particularly great. Also designed by Peter Parler, the architect of St. Vitus in Prague, the cathedral at Kutna Hora is perhaps the best example of his vision. 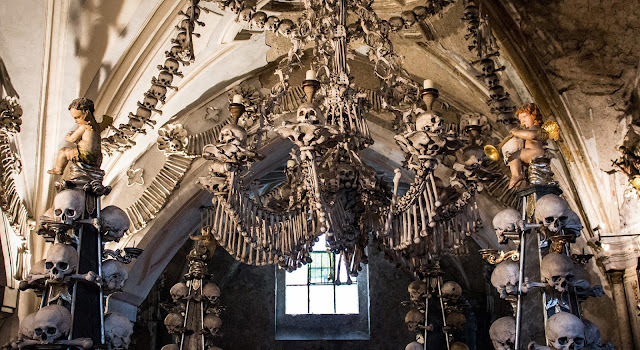 Also near Kutna Hora is the Sedlec Ossuary. 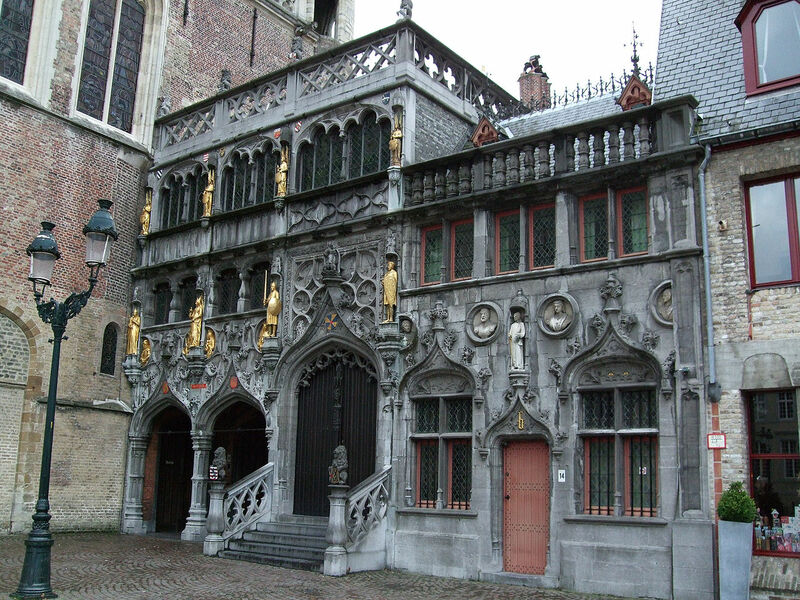 This is a funeral church that was decorated with human bone. It's a bit macabre, but pretty awesome. A pilgrim brought back dirt from Golgotha in Jerusalem and so the cemetery became one of the most desirable places to be buried in the Middle Ages. 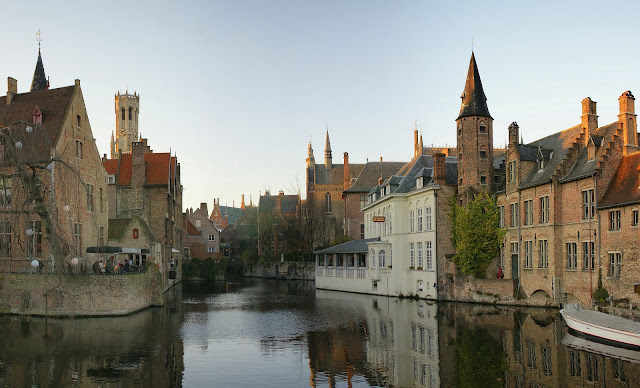 It really is a pretty cool town to visit. 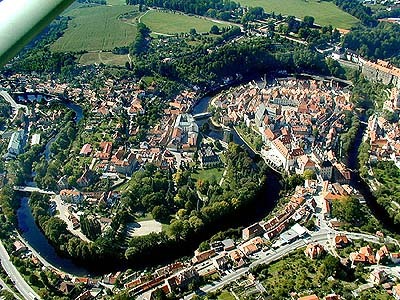 I love Telc. A dear friend used to own a bed and breakfast (called U cerneho orla) on the town square and it was a great place to stay. The town square is relatively unchanged since the 16th century, with the arcades still intact in most of the buildings. The castle is also beautiful. I have enjoyed walking the park around the castle. It is a good two hours or so from Prague, so be prepared. If you make the drive, a good stop on the way is Jihlava. Portions of the old city walls still stand and the square is almost as big as Wenceslas Square in Prague. The main church is also beautiful. The Jezek brewery restaurant is a great place for dinner and relatively cheap. The only thing here is the castle, but you can reach it by train relatively easily and quickly (like 45 min-1 hour). The train leaves from Smichov train station. Also in the Smichov neighborhood is the Staropramen brewery, which is another of the good brewery restaurants and an interesting tour. 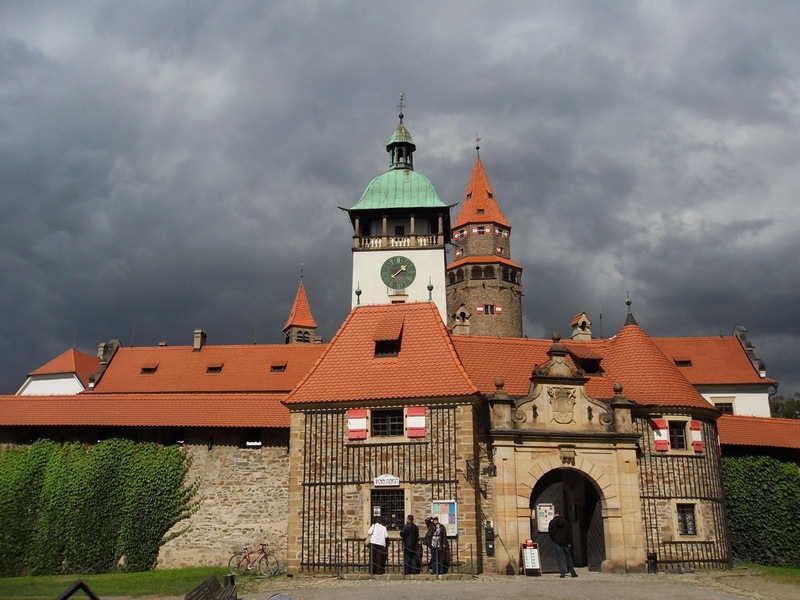 The castle was built by Holy Roman Emperor and King of Bohemia Charles IV to house the crown jewels (the St. Wenceslas Crown) and important state documents and is well-preserved. The town has remained relatively intact for centuries. The Vltava River flows through town, and river rafting tours are available. It's a pleasant place to even spend a night with a lot of hotels and similar things. Ceske Budejovice, or Budweis in German is home to the Budweiser brewery. This is one of the most popular beer brands in Europe and the company has been involved in a legal dispute with Anheuser Busch for decades over who gets to use the name Budweiser, with varying results worldwide. In the US, you can find it labeled as either Czechvar or Budvar (the common name in Czech). 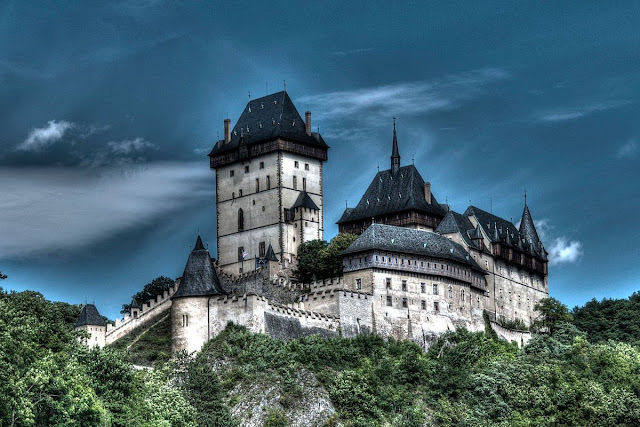 Just outside of town is the beautiful castle of Hluboka nad Vlatavou. The city of Plzen (Pilsen in German) is famous for their beer (of course). The Pilsner brewery is a cool thing to visit. They still have the old ice caves under the city with the giant oak barrels. Of course it's also a modern brewery, where they invented the pilsner style of beer (bright amber color, clear, lightly hopped). Pilsen was liberated by the US 3rd Army under General Patton at the end of WWII (they were ordered to stop on the outskirts of Prague, or else they would have liberated that city as well). This is a famous spa town in the mountains by the German border. The spas were frequented by the rich and famous of Europe during their heyday, around the end of the 19th Century. The city also hosts a film festival every year. The spas are still in use and believed to help treat disorders of the stomach. The city is in a beautiful setting in the mountains and well worth a day trip. Try the waters. The popular mineral water Mattoni, one of the more common brands you'll see around the country is bottled here. The capital of Moravia. 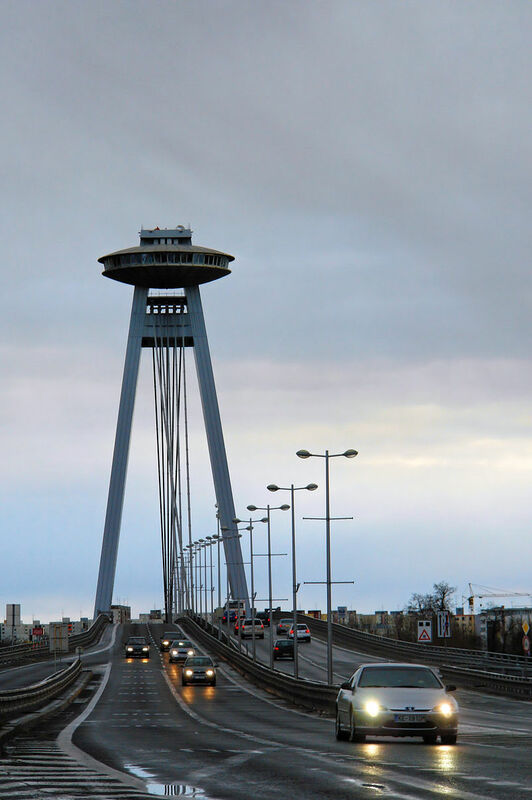 Brno has historically been the second city, sort of like Chicago to New York. 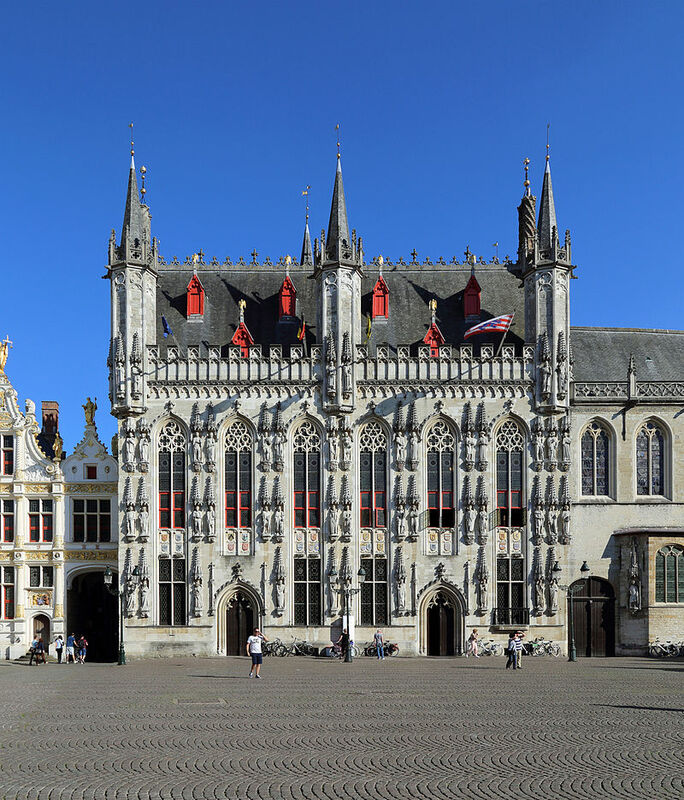 Major sites include the main square, where there is a building that the shot-up facade from WWII has been preserved as a testament to the fighting. The Cathedral in the city is beautiful and on a prominent hill over the city center. The Capuchin monastery has some preserved mummies in the basement because of the conditions of the crypt that dried out the bodies and preserved them. Spilberk Castle long served as not only a defensive castle to protect the city, but also as a prison, in many ways like the Tower of London. 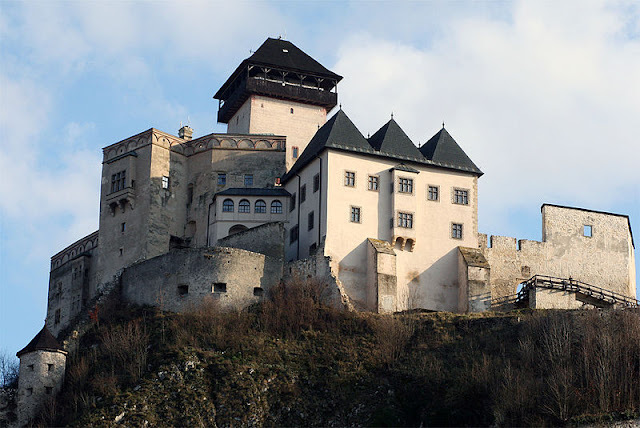 Not far from Brno is Pernstejn castle. Pernstejn is because and has been used as a backdrop in many movies. 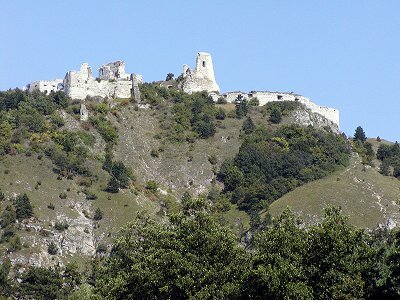 Also not far is the castles of Mikulov, which is also a famous wine growing region. Go during the annual wine festival in September, where there is wine tasting and other activities around the castle grounds. By Mikulov is the castles of Vranov nad Dyji, Bitov, and the ruins of castle Cornstejn. This castle was featured in the film Triple X with Vin Diesel, which also used many locations around Prague. Long the ecclesiastical capital of Moravia, the cathedral is particularly beautiful. Also of interest is the square with the large Holy Trinity Column. This column was dedicated to the Holy Trinity after the town survived a plague. Near Olomouc is the castle of Bouzov, built by the Teutonic Knights. The caves of the Moravian Karst are also in the region. I have never visited, but I have heard that they are beautiful. 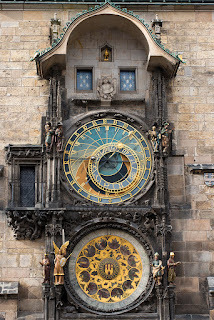 In my next post, I will return to Prague and give some tips on getting around, eating and where to stay. Prague, Czech Republic is one of my favorite places to visit. I lived in the Czech Republic for 2 years and it still has a very dear place in my heart. Prague is beautiful. Just look at the city! This is a big reason I love the city. My favorite place in Prague. Seat of the Czech government since 800 AD, it is the largest castle in the world. The president of the Czech Republic still lives at the castle. Inside is the Cathedral of St. Vitus. Yes, there is a full-sized gothic cathedral inside the castle, that's how big it is. The cathedral is one of the best examples of the Czech Gothic. The architect, Peter Parler, created special vaulting on the ceiling that looks like spider webs. The tomb of St. John of Nepomuk is a beautiful work of silver. 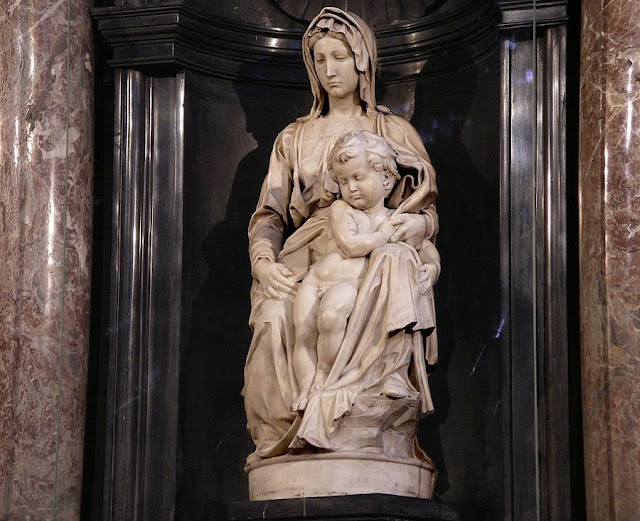 John was a priest and confessor to the queen. 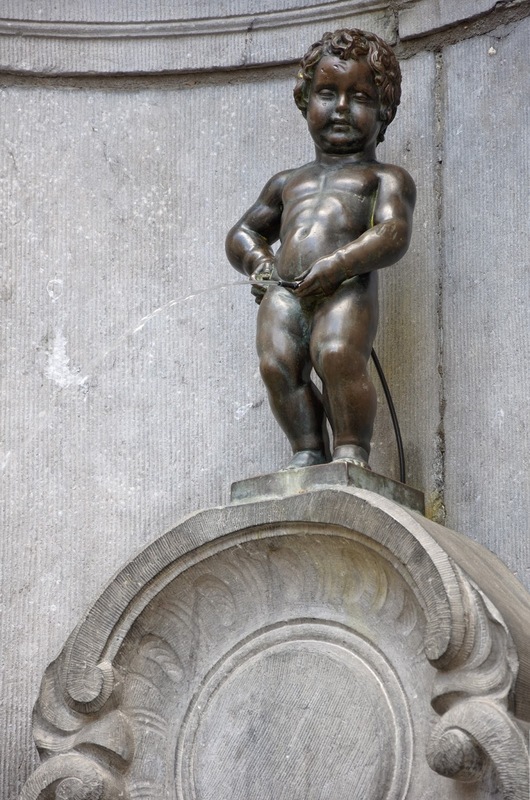 The king believed shew as unfaithful and demanded that he break the seal of the confessional, which John refused. The king had him wrapped in chains and thrown from Charles Bridge. 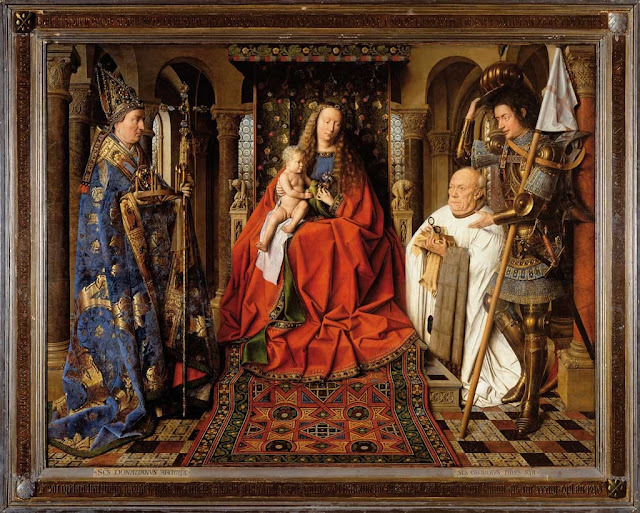 President of the Czech Republic, Chair of the Chamber of Deputies of the Parliament, Chair of the Senate of the Parliament, the Prime Minister, Mayor of Prague, Archbishop of Prague and the Dean of Metropolitan Capitule in Prague) that is where the kings of Bohemia used to be crowned. The crown itself is also in this room, locked in a chest with 7 locks. 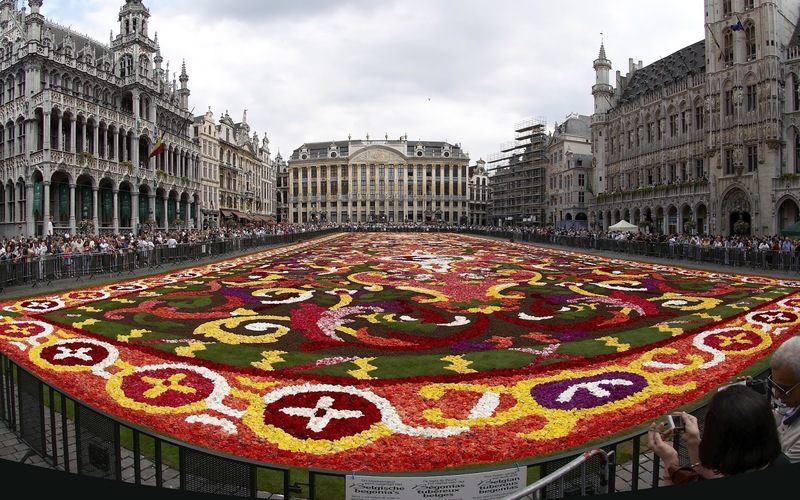 The crown is publicly displayed about every 5 years on special occasions. There is a replica of the crown in the exhibit area in Vladislav Hall in the castle. The Romanesque convent of St. George is interesting, but a little more spartan in furnishing from the cathedral. Vladislav Hall has served many purposes, it was the throne room, banquet hall, and even had a ramp to bring in horses for jousting. Further down, there is the golden lane. It's called that because it used to house goldsmiths. At one time, the author Franz Kafka lived here. There is a toy museum here, I didn't visit it, but it's there. The view from the castle is also amazing. I love the facade of the Old Tyne Church (the one with the spires in the picture. Also the statue of Jan Hus, a Czech national hero and religious reformer who was burned at the stake on July 6, 1415, kicking off what became known as the Hussite Wars that consumed the Czech lands for the next 100 years or so. 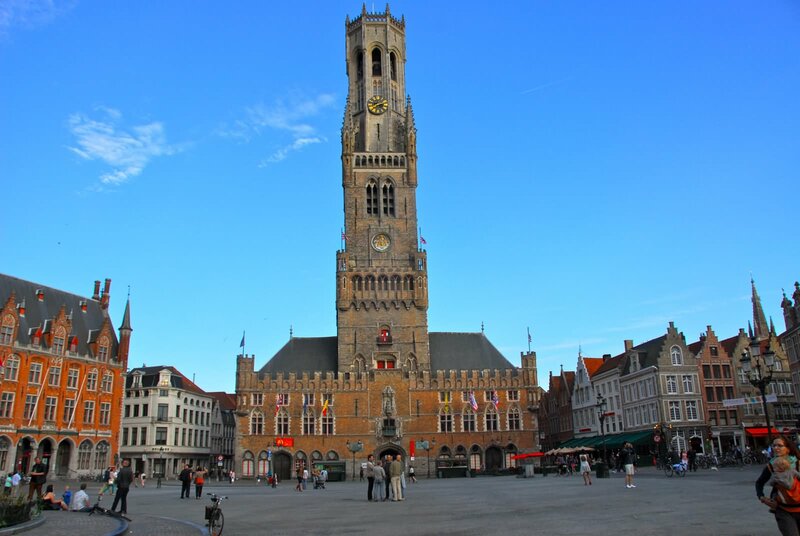 Also the Old Town Hall with the Astronomical Clock. The clock chimes every hour, and it's kind of fun to watch. Just watch your wallet, pickpockets go through the crowd looking for distracted tourists. Old Town Square is a great place for people watching. Some of the shops also have some of the best prices for tourist items in the city. The oldest bridge in Prague. It's usually crowded with tourists, but one of my favorite things in Prague is to walk the bridge as the sun is coming up. I absolutely love it. The view of the Castle from the bridge is also great. How can you go wrong with this? At the end of the bridge, about a block down is the Klementium, the oldest building that was part of Charles University in Prague, the oldest university in continental Europe north of the Alps. The library is beautiful as well as the hall of mirrors. They often do concerts in the evenings. The biggest square in the Czech Republic. The Vaclavak, as it's called locally, is the heart of New Town. In 1989, during the Velvet Revolution, it was the scene of the giant protests that brought an end to communist rule. The square has all the international chain restaurants like McDonald's and Duncan Doughnuts. 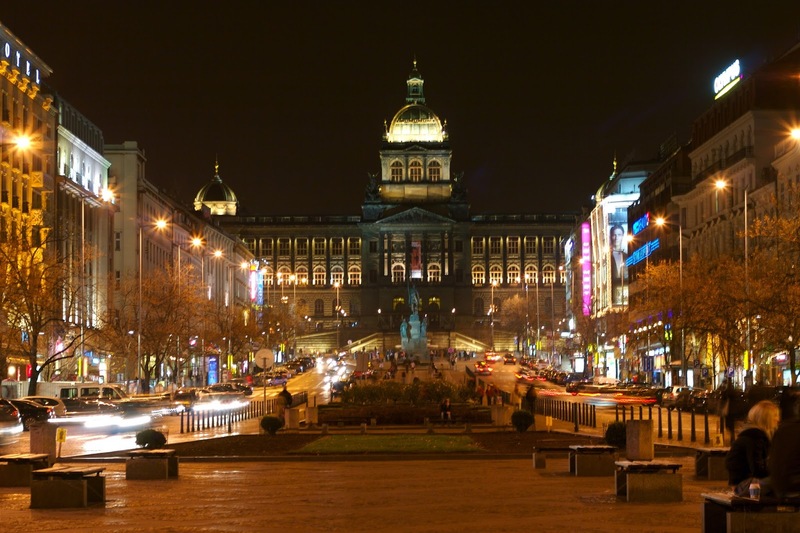 Crowning the square is the monumental equestrian statue of St. Wenceslas and the National Museum. Some of the best street food vendors are on the square. 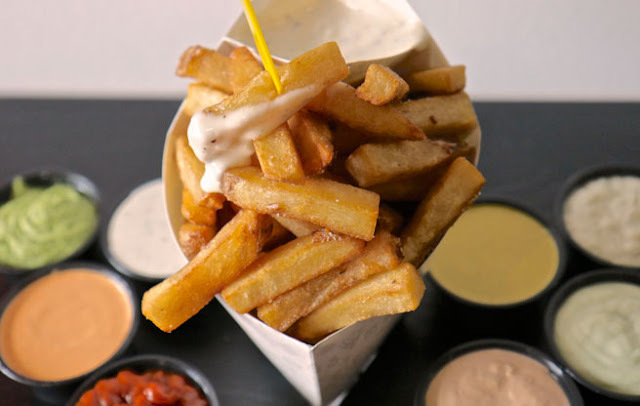 I really like the smazeny syr, a breaded and deep fried cheese patty (usually eidam) usually served on a bun with their version of tartar sauce (much creamier and way less tart that what is in the US) or any of the sausages. A favorite is a parek v rohilku, which is a hotdog served inside a rohlik, which is a sort of breadstick that they hollow out and toast inside, then served with their awesome mustard. I love the mustard so much, I bring back a jar every time I go. Located below Prague Castle on the opposite bank of the Vltava, this is a beautiful part of town. There are a lot of palaces here, the church of St. Nicholas is beautiful, in the baroque style. The American embassy is also here, if you need to visit it. The monastery here has one of the most beautiful libraries in the world. Also, the giant Strahov stadium, which is one of the biggest stadiums in the world, but now days not used for much. Dating to before communism, and used during, the stadium was built for giant group gymnastics displays that are no longer held. National Street. This is sort of the more modern part of Prague. This is one of the main commercial streets, where average Czechs shop. Tesco, formerly K-Mart, has has not only a department store, but also a large grocery store. This store also has a lot of American products, like peanut butter and brown sugar. Narodni Trida also has a lot of affordable restaurants. The Modra Zahrada has really good wood-fire pizza. My favorite restaurant in the city is not far from here, across the street from the National Theater (beautiful building well worth the stop). The restaurant is the Cafe Slavia. The best thing on the menu is the svickova na smetana, a sirloin cutlet served with knedliky (dumplings that are like sponges to sop up the sauce) on a cream sauce that is just to die for. They also have a version of the Czech national dish, veproknedlozeli, pork roast, with gravy, knedliky, and zeli (a type of sauerkraut, but sweeter than what most Americans are used to). Prices are reasonable, since it's less geared to the tourist trade. The nicest thing with Prague, everything is pretty close, so easily walkable. These sites are easy to fit into one day. The metro is also very good, and relatively cheap, especially if you buy a day pass. Just make sure you stamp your ticket to validate it before you get into the gated area. While there isn't a turnstile or other ticket control, they do have inspectors who will show you their badge and you are supposed to show them your ticket. If you don't have a valid ticket, you will be fined. They like to hang out especially at the transfer stations in the corridors between the lines. They love to get tourists and sometimes will demand immediate payment. I will continue with another post about things to do, and a little more on where to eat, and more.